Practicing my doily making skills. This is Springtime by Hazel Henry. I really have to learn to block better. Practice, Practice, Practice. Pretty! Having to block is sometimes the decision maker on a pattern for me. It's not hard but I just don't like to. 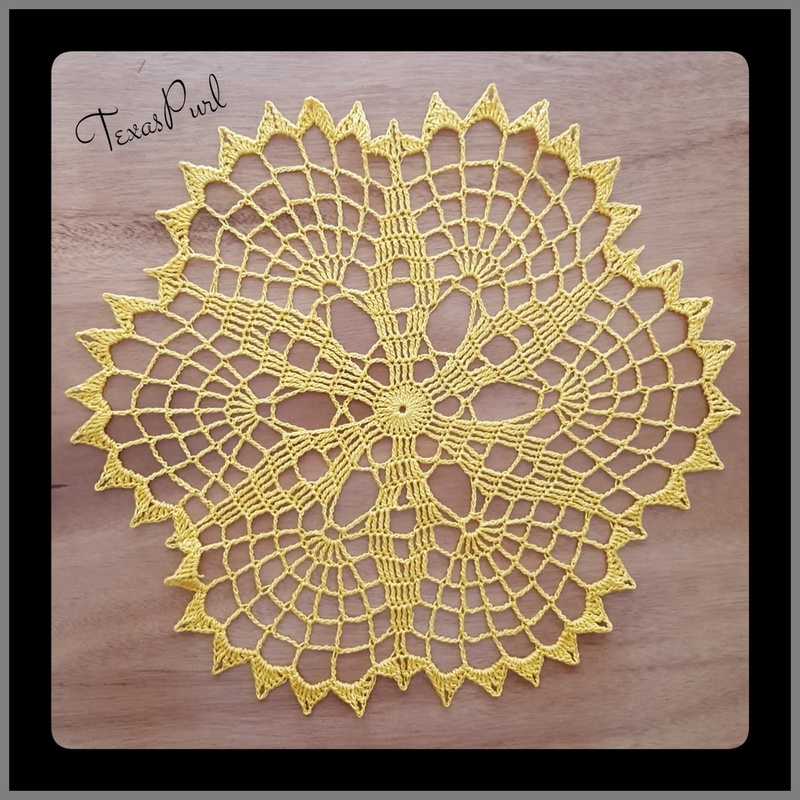 Your blocking (and doily) looks great to me! I make my own polar graph paper as a blocking guide, makes it much easier. Thank you. It's not my favorite either but I think if you're gonna use thread...well, you're gonna have to block. Thanks! I thought about using graph paper to use as a guide, but I don't want to risk the ink seeping on to the doily. Maybe use plastic wrap between the two?? That's what I do. Foam board, graph paper, plastic wrap. But, I don't print them out, I've draw them in pencil and re-use them--so for me the plastic is to keep the pencil from rubbing off on the doily, and also to keep the paper from getting wet. The one that I use the most is divided up for 12, which works for 6, 4 and I added another set of lines so it also works for 8. I have couple of other odd ones, for 9, 5&10 and 7 I think as other doilies came up. I still have my protractor and compass from 5th grade (antiques! ), I start with a ruler line across the page and then use that to mark off the angles. Your doily is very pretty. Looks like you did a good job on blocking. Thanks Granny Square on the blocking tips. Very pretty! You did very well on your blocking and this will put a sparkle on any space you lay it on.